Earths Pearl Probiotic: Is It the World's Best Probiotic Supplement? 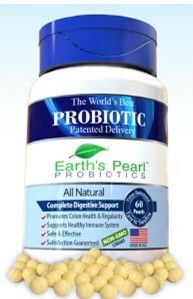 Earths Pearl Probiotic - The "World's Best Probiotic" Supplement? What Probiotic Strains are in Earths Pearl Probiotic? They also offer a children's version with L. acidophilus, L. plantarum and B. infantis. What are the Other Ingredients in Earths Pearl Probiotic? The other ingredients at the time of this writing are 25 mg of FOS, microcrystalline cellulose, hydroxypropyl methylcullulose, pectin, stearic acid, sodium carbonate, guar gum, and turmeric (for color). The stearic acid is a flow agent to make the tablets glide over equipment easier. The sodium carbonate is used to control the pH inside the tablet and around the disintegrating tablet in your intestine. The remaining ingredients in Earths Pearl Probiotic make up the time-release aspects of the tablet. Please verify ingredients of any supplement prior to taking it! What is the Recommended Dosage of Earths Pearl Probiotic? The manufacturer’s recommended dosage is 1 pearl daily at any time. For advanced immune health, up to 3 pearls may be taken daily at any time. The product is not meant to be crushed or chewed because that would invalidate the time-release aspect of it. What are the Pros of Earths Pearl Probiotic? Shelf-stable below 70 degrees F.
As of January, 2016, this product has 4.5 out of 5 stars for 813 customer reviews on Amazon. “…I usually take them every afternoon with my lunch (salad) and I have less digestive issues than I used to. My stomach doesn't make weird "I'm trying to digest all these vegetables" noises and I'm experiencing much less gas. Not sure if it's related or not, but I just had a cold that I got over quicker than normal and I'm thinking it may have something to do with the immune help from the probiotics. I haven't done anything else different. What are the Cons of Earths Pearl Probiotic? Only the species are given; you don't know which strains are in the product since the information is proprietary. All you know is that they are supposed to be "power strains". Since neither the strains nor the amounts of each strain are listed, it is not possible to predict what effects this product will have. Lactobacillus and Bifidobacterium species, in general, do promote digestive and immune health. This supplement contains FOS, fructooligosaccharides, a carbohydrate prebiotic to support the growth of the microbes, which may pose problems for some people even though it is at a very small amount. As with most probiotic supplements, this one does best with refrigeration after it is delivered. Compared to other multi-species probiotic supplements, this one contains a lower number of total CFU of 4 billion per capsule. This amount may be suitable for some people as an introductory dosage to probiotics, but they may need higher dosages for effects. Other people may find this amount to be suitable for their needs. 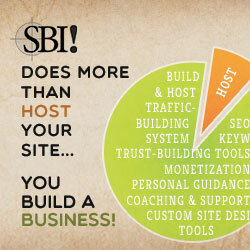 Although third-party verification is stated, it is not known who does the verification. Where to Find Earths Pearl Probiotic? This supplement is available from Amazon.com. Is Earths Pearl Probiotic the Right Supplement for YOU? If you would like help in deciding if this is the right probiotic supplement for you, you may consider nutritional consultations with me. 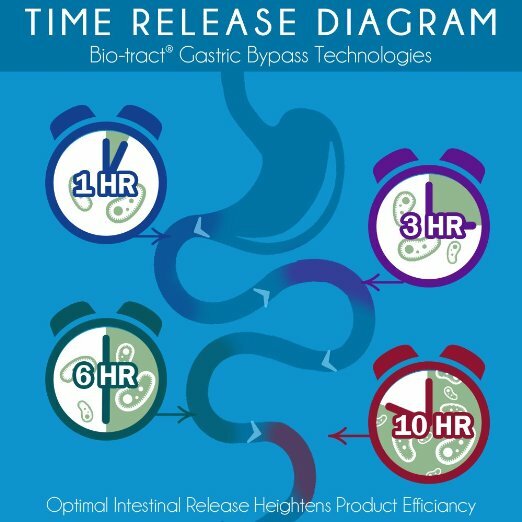 This product is similar to Hyperbiotics PRO-15 in that it uses the BIO-Tract® technology from Nutraceutix, but the PRO-15 has 10 other species and a total of 15 billion CFU. Since BIO-Tract® is a patented process, I would guess that Nutraceutix actually does the manufacturing for Earths Pearl. The claim that it is “The World’s Best Probiotic Supplement” is a matter of opinion of the manufacturer, not fact. Thanks to Becky for suggesting a review of this supplement!